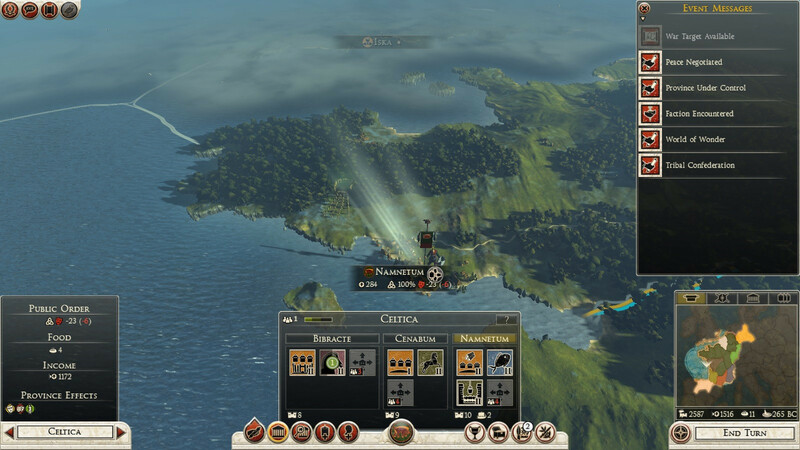 271 BC. 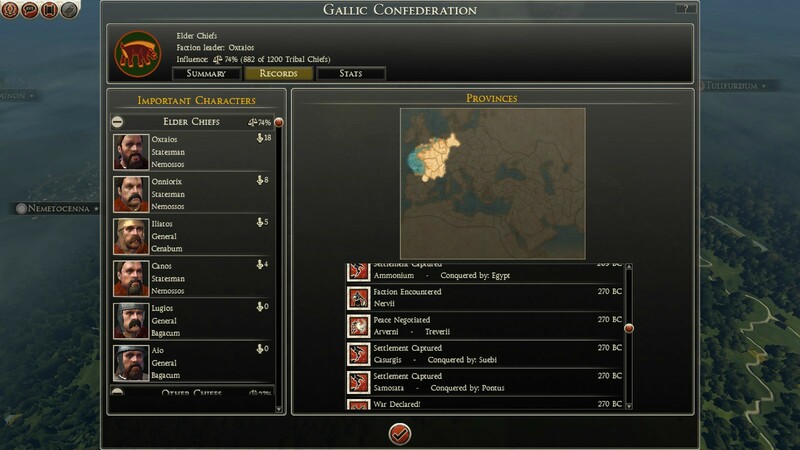 After I marched my army into their territory, the Aedui sued for peace. They accepted my Join the confederation counter-offer. Their former allies the Carnutes also joined the confederation (posssibly due to their war with the Artrebartes). 270 BC. I declared war on the Treverii, which I followed up with a peace treaty/join confederation proposal, which they accepted. 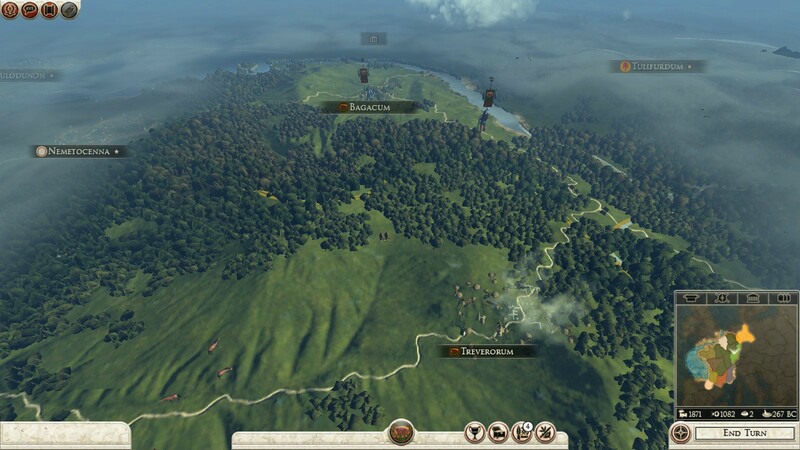 267 BC. 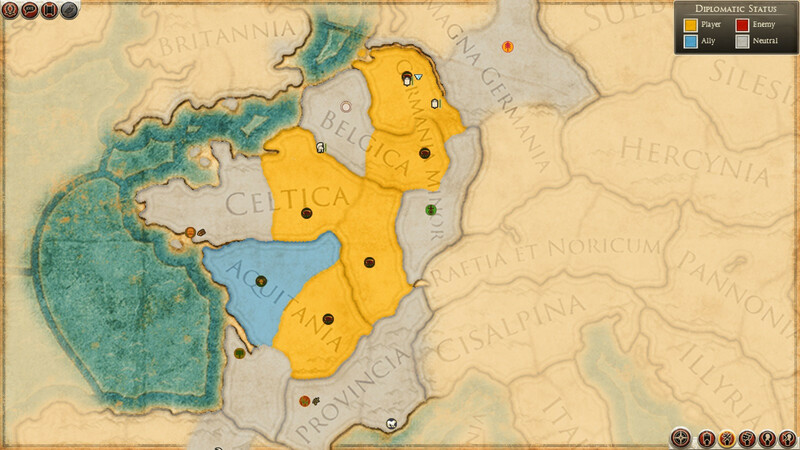 Declared war on the Nervii, then made peace with their allies the Artrebartes. 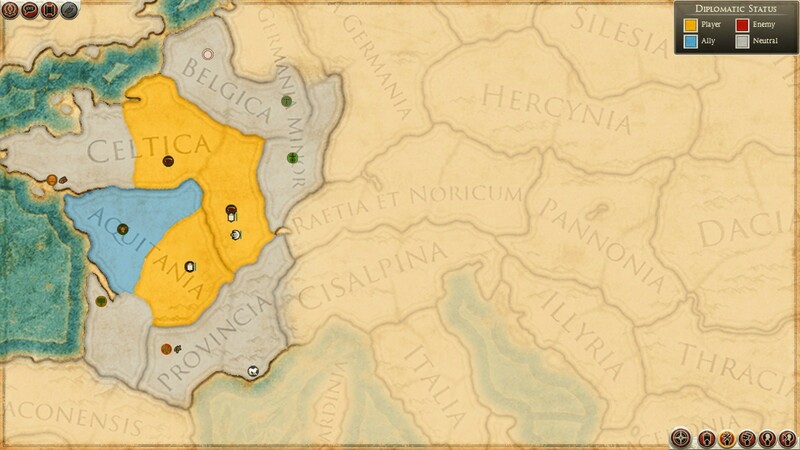 The Nervii were now willing to make peace and join the confederation. 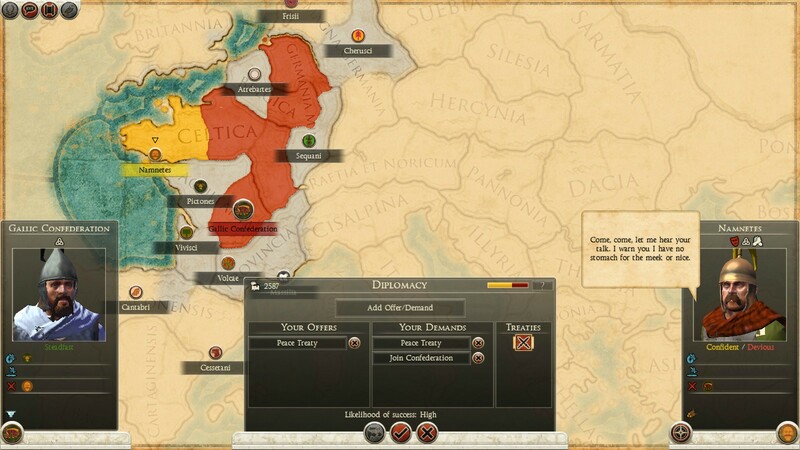 I can't get the Sequani to agree to an alliance (mission goal), so I'm now thinking about bullying them to join the confederation. Maybe they were warlike with everyone who isn't part of the confederation? 265 BC. Again the Declare War, followed up by Peace Treaty/Join Confederation combo, this time with the Namnetes (they broke the non-aggression pact we had last turn). 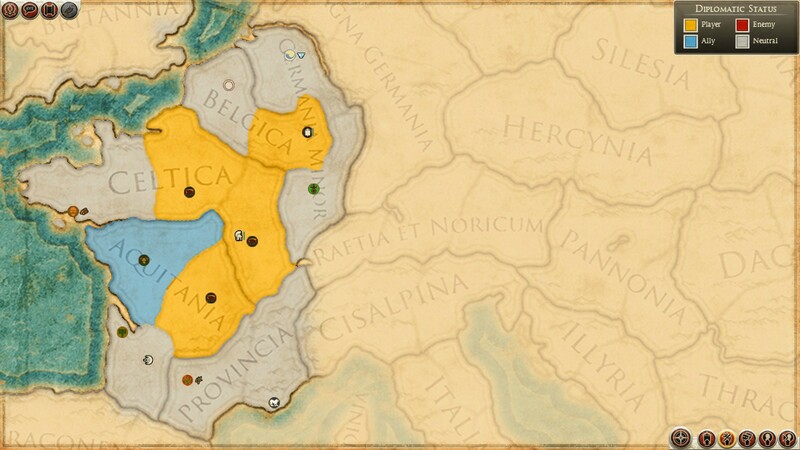 Now, by turn 8, I have 6 regions, 3 of them united in a province and I haven't fought a single battle. This is good.. 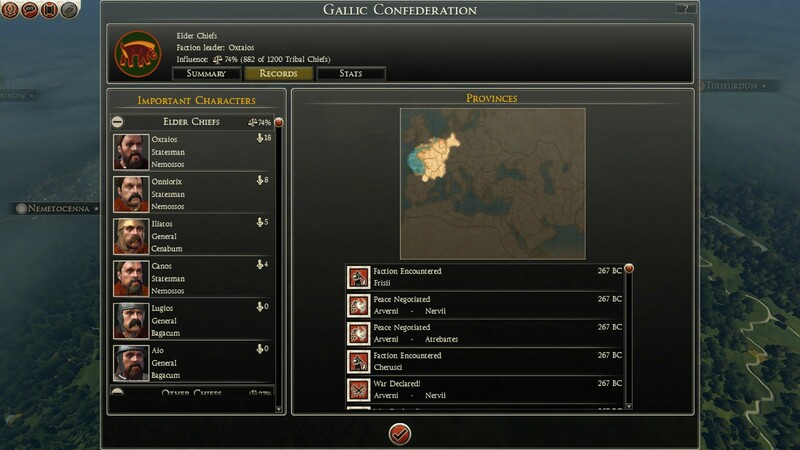 I have been wondering how to get people to join my confederation. Under Legendary it's much harder to get them to join. 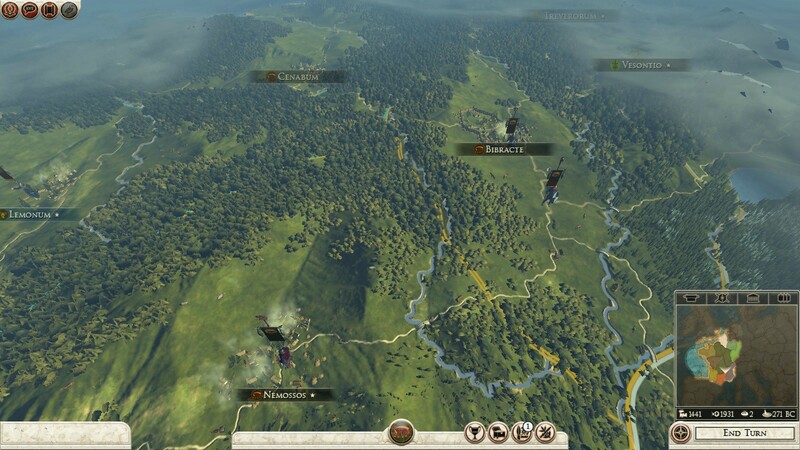 Still, if they are under attack/besieged or if you wipe out a fullstack of theirs they are immediately joining. The confederation is an avalanche effect - each faction that joins makes it easier to convince others that you're worth it. Or that you are too powerful to contend with.